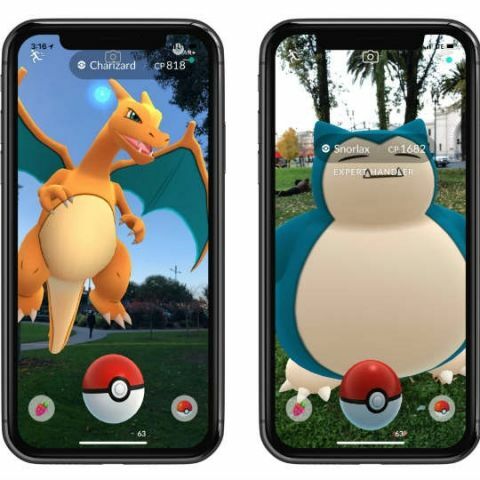 Pokémon Go was quite the rage when it was originally released back in 2016, with people across the world clamouring to experience the game through any means necessary. Android users have not had the best AR experience though, often turning off the game’s AR View. Ninantic, the developer behind the game is looking to improve this aspect of the game and has finally brought support for ARCore. The new update to the Android version of Pokémon Go is in many ways similar to the iOS update that was pushed out nearly a year ago. Ninantic brought support for Apple’s ARKit to the game last year but took an incredibly long time bringing the experience to Android, possibly due to the device fragmentation within the ecosystem. The new update will give creatures from the game a more pronounced appearance in the real world, allowing them to stand on surfaces in the real world instead of floating in the screen. Pokémon Go was originally launched in limited countries but picked up mass appeal at a feverish pace. Users across the world wanted to get on the bandwagon and many would often resort to region hacks and VPNs just to be able to play the game. Despite the instant success, the game’s popularity has quickly waned since its initial release. Ninantic has since continued to push out updates for the game to keep the users’ interest. Ninantic recently also announced that they would be bringing characters from the fourth generation of Pokémon, along with allowing players to trade monsters. In order to take advantage of the newest update, you will need an Android phone that supports ARCore.